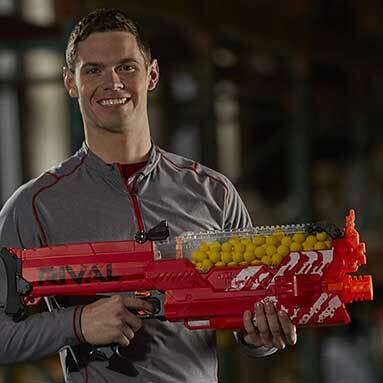 A Nerf gun that shoots balls is a step up from standard nerf products. Be advised these balls can sting a little when you get hit, especially in the bear skin. If you are playing as a group it is a good idea to wear eye protection, as this ball gun can shoot up to 100 feet per second. 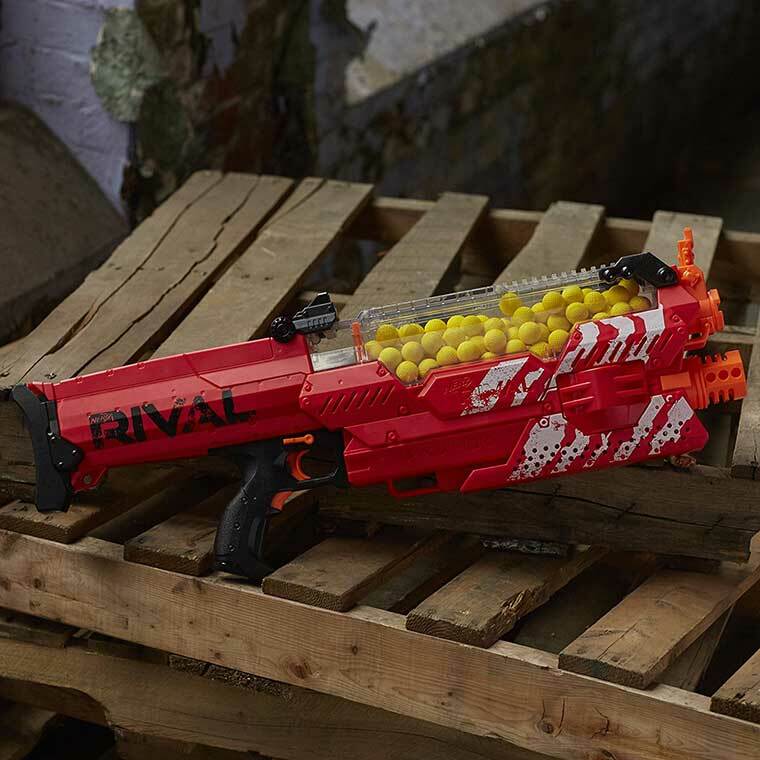 This might just be the coolest nerf gun in the world. 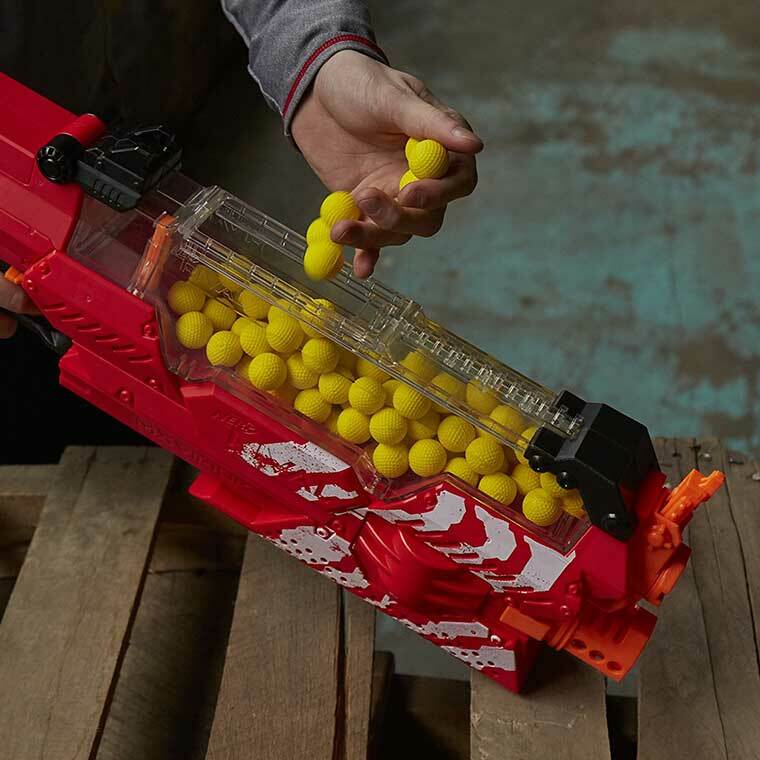 It has a motorized hopper that holds the foam balls almost like a paintball gun. Along with being more powerful than standard nerf guns, it also shoots super-fast. From what I’ve read the rifle can shoot 6-7 rounds per second. 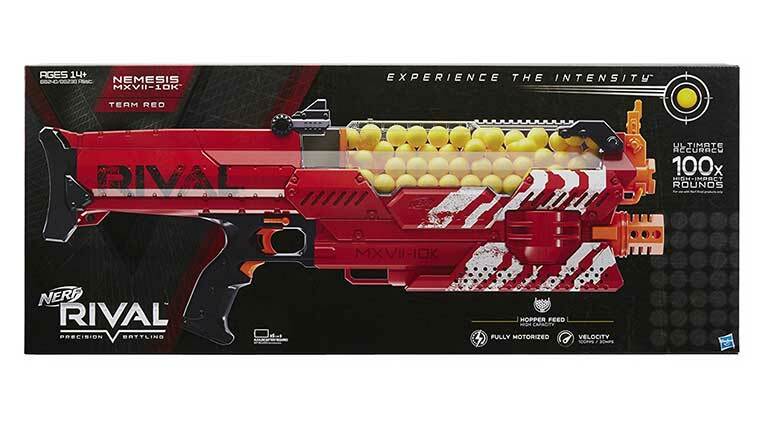 There are a lot of reasons we consider this the best nerf foam ball gun on the market in 2018. It is accurate, shoots fast, shoots far, and is very accurate. The blasters come in blue and red, so if you are buying for multiple people you can get them different colors. 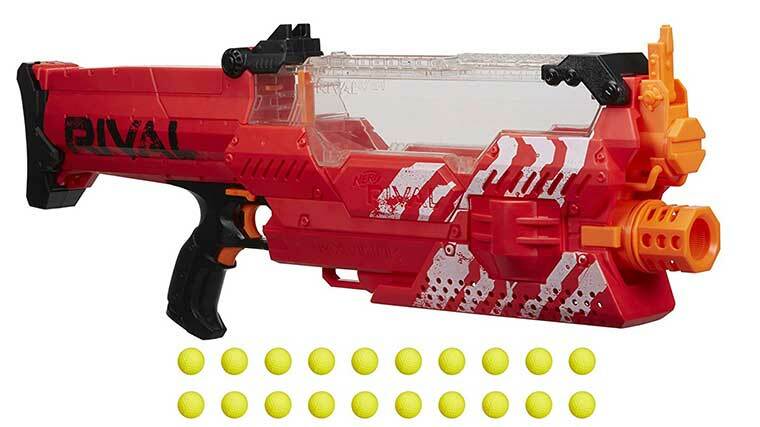 The gun runs off 6 D batteries or the Nerf rival rechargeable battery pack, neither of which are included. If you are giving this item as a gift we recommend including batteries, but it’s not a necessity.